Here's the third comic in the series about famous computer people. 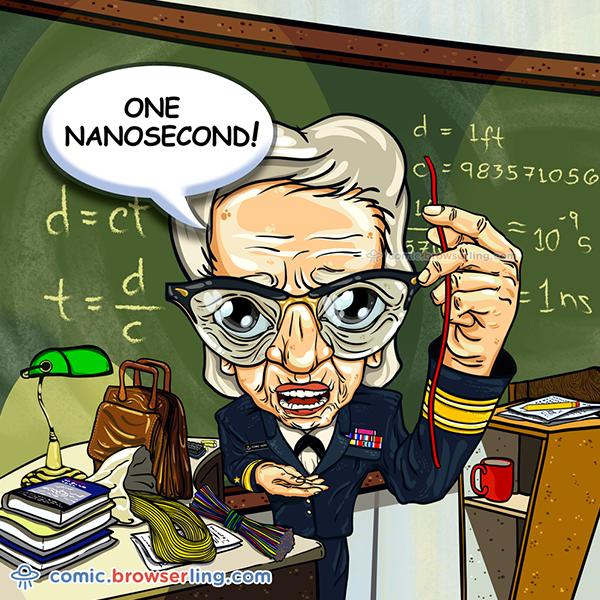 Grace Hopper always walked around with 1 foot long wires in her purse as that's how far light travels in 1 nanosecond. Remember that. 1ft = 1ns! Grace Hopper: "Light travels 1 foot in 1 nanosecond."